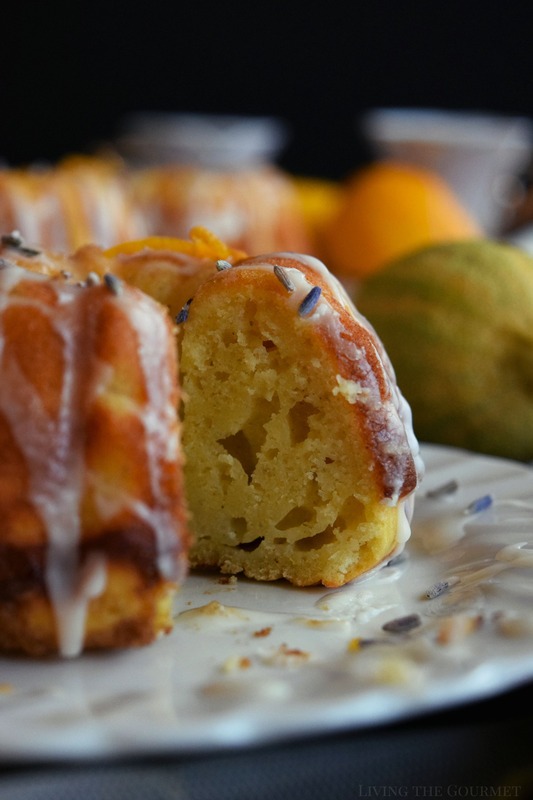 Spring is finally in full swing and to celebrate we’ve made Lemon and Lavender Ricotta Bundts- light, delicate cakes topped with a citrus icing. Despite the long and arduous winter that has been plagued with what has felt like never ending gray skies, bitter temperatures and personal heartbreaks, I’ve been in the best of moods the last couple of weeks. I’m finally ready to shed the winter skin and clean out long overdue Christmas decorations, turn the garden soil, and venture out for my first walk of the spring season. The warm sun on my skin nearly brought tears to my eyes. I look forward to brighter days ahead and hosting some outdoor parties. 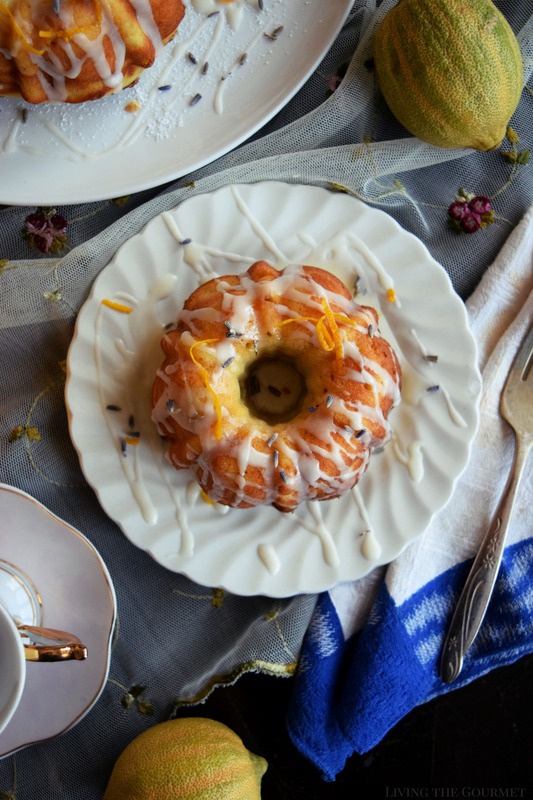 I’ve already begun menu-planning for Mother’s Day, envisioning a back porch luncheon with little tea sandwiches, some lavender lemonade and, to keep with the theme, a batch of these Lemon and Lavender Ricotta Bundts. 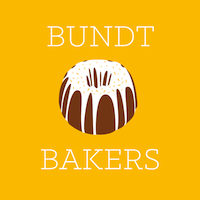 Due to personal reasons, I took a long break from #BundtBakers but I’m excited to rejoin the group as we kick off the Spring season this month. Our hostess this month is Wendy from A Day in the Life on the Farm and the theme is flowers. I originally wanted to incorporate something with roses or even chamomile but ultimately decided upon lavender and lemon for two reasons. I’ve always enjoyed the taste of lavender especially in lemonade which is a warm-weather staple in our home. It’s an unexpected, elegant twist that everyone seems to love. I thought it would play well into some spring menus I’ve been organizing. Secondly, I recently received a beautiful gift box of California lemons from our good friends over at Limoneira. The California lemons were perfectly ripened and every bite was bursting with that bright lemony taste, but not in an overpowering way. 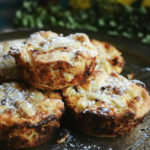 The ricotta gives the cakes a delicately moist consistency which plays well into the lighter Spring menu theme I’m going for. When I first took the cakes out, I thought they would have been denser, but they are deceptively light. 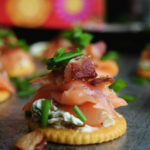 The tricky part about this recipe for me was incorporating the lavender buds. When I make lemonade, I first begin with a simple syrup infused with lavender. I played around with putting some of that simple syrup into the cake batter but I would have to scale down the sugar, which resulted in a very moist batter. So ultimately, I decided to grind the lavender buds- with the sugar. The recipe calls for 3/4 cup of sugar which I pulsed with 3 teaspoons of lavender buds in a bullet blender. The sugar instantly turned to powder with a faint purplish tint and a beautiful floral aroma that filled the air when I unlocked the lid of the blender. The final product was exactly what I was aiming for. The cakes were more citrusy but not bitter. The lavender was subtle and sweet but more like an afternote. I topped each cake off with a citrus icing but if you want to scale down a bit on the bright lemon flavor, you can always just go for a classic icing. In this case, I whisked powdered sugar with vanilla and lemon juice. Simply swap the lemon juice for cream or milk. Preheat oven to 350 degrees F. Grease a mini bundt pan and set aside. In the bowl of your mix master with the paddle attachment, beat eggs, ricotta, sugar, vegetable oil, vanilla, lemon juice and zest. Once it is all incorporated, add in flour and baking powder. Beat again until a smooth batter comes together. Divide the batter between the bundt molds and bake for 25-30 minutes or until the cake tester comes out clean. In a small bowl whisk together the ingredients for the lemon icing. If you prefer a regular icing, just swap out the lemon juice for cream or whole milk. Once the cakes have cooled, drizzle each with icing and a sprinkle of lemon zest and some additional lavender buds for garnish. Serve and enjoy! Lemon and lavender...I am drooling, Catherine. These mini bundts look so gorgeous. I'll stick with the lemon icing. Great idea to infuse the sugar with the lavender. So good to have you baking with us again and what a comeback cake! 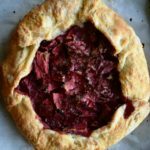 It is perfect for spring and will be a great addition to your Mother's Day luncheon. What a gorgeous cake! 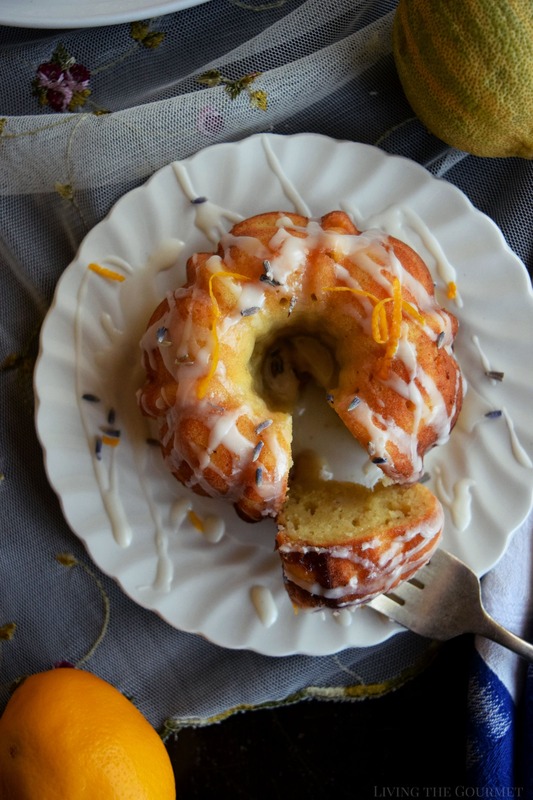 I LOVE the combination of lemon and lavender... and I have never made a bundt cake before! Yours will have to be my first. I love how refreshing this sounds. I'm a huge fan of lavender and this looks so pretty. I am bookmarking this to try soon. 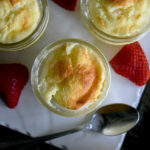 Love the pictures and lavender sugar idea too! One more addition to my bundt pan cakes. I love cakes with ricotta cheese. And the combination of lavender and lemons is great, for sure. I'll have to make this cake as soon as possible. I happen to think bundt cakes are fantastic. They always look presentation perfect and require little decorating. Works great for me. I can bake the cake, however decorating is not my strong point. Cakes like this save the day!! 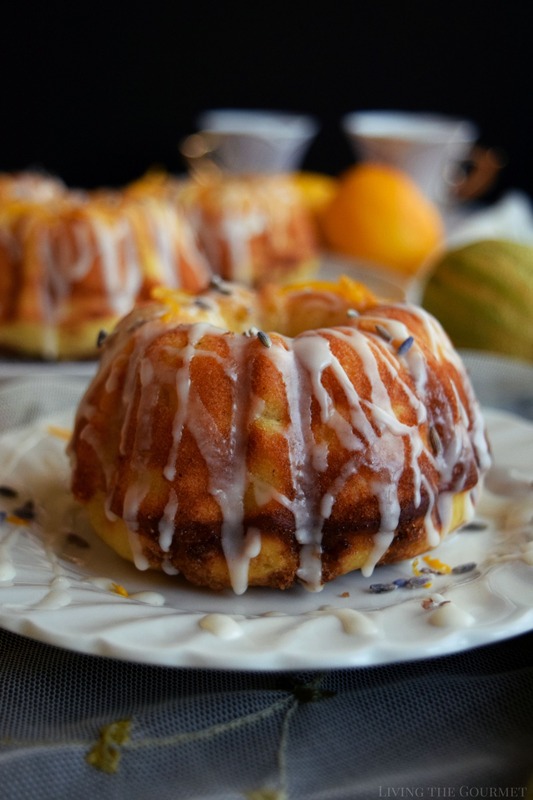 Beautiful bundt cakes and the flavor of lemon and lavender sounds just so refreshing and delicious. Perfect bake for this time of the year. Love how you infused the cakes with lavender flavor. Cake looks so moist and just perfect. 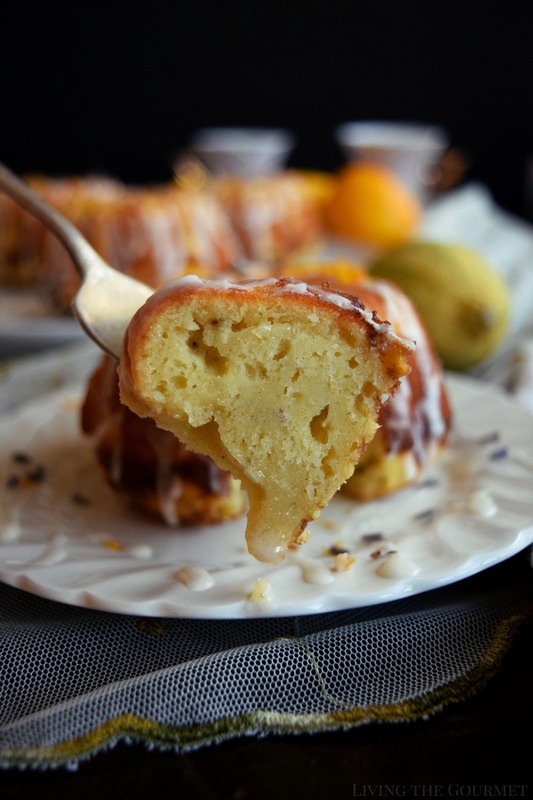 Lemon and lavender are ultimate combo, beautiful bundt cake that too loaded with flavor. I am yet to bake with lavender. My lavender plant doesn't want to give flowers, I need to buy it from store and try your recipe. Lemon and lavender is such a fabulous combination! One of my favorite restaurants makes their own lavender lemonade and it is AMAZING...when I see these beautiful bundt cakes I'm feeling the same way. Lemon and lavender is such a classic combination and love the flavor. 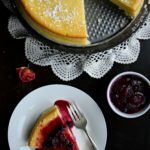 The cake has such a beautiful texture and I love the addition of ricotta. I was looking to buy a lavender plant for the garden, I have even more reason to plant one now. What a beautiful bundt cake. It looks amazingly moist and I've never tried to use lavender before in my cooking but I've always wanted to. This is a cake that I have to make!! Lemon is a flavor that I love -- I use lemon in just about everything. Such a wonderful combination of flavors! This cake must taste as fantastic as it looks! Yum! What a spongy bundt!! Love it! !